Fortnite is one of the most popular Battle Royale Game which was developed by Epic Games in 2017. Users can play this game on their Windows, MacOS, Playstation, Xbox One, iOS and Android devices. When we talk about gameplay, Fortnite normally is played either with each player on their own, or squad of two to four players, with up to 100 players participating each round. For those who are newcomers, the basic setup of battle Royale game is that hundred players jump onto a map, scavenging weapons and items with which to defeat others and work to be last player standing. The game is quite impressive which realistic graphics features. On comparison to its more pr-faced contemporaries including PUBG or Blackout, Fortnite’s identity is all its own that means characters and the map both are colorful with vibrancy that trusts its tactical depth. It is quite impressive to play whether on PC or Mobile because Epic are creators of the unreal Engine who have given the tools to play the game. If you want to play Fortnite Battle Royale game, then you should device with minimum or recommended System requirement. You can play the game either on PC or mobile. Let’s start the game. You can play in Squad of two to four players, with up to 100 players participating each round. 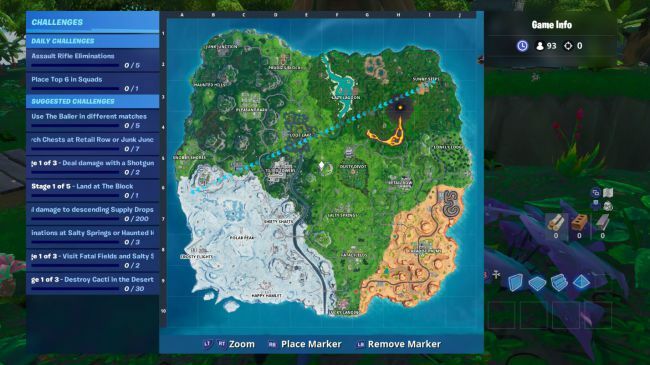 The round starts with players, weapons, skydiving form floating buses or Battle Bus, then deploying glider onto region of land. The island’s fixed layout includes several landmarks and locations that are mostly ghosts towns. On other hand, random destruction of weapons, shields and other combat support features can be found by searching building and other sites. However, the main aim of each player is to become last player alive by eliminating or defeating other players. Solo Modes: When you are playing in solo modes, players are immediately eliminated when they exhaust their health. Squad Modes: Downed players can crawl around while bleeding out. They can be immediately eliminated by opponent or revived by squadmate to help them up. 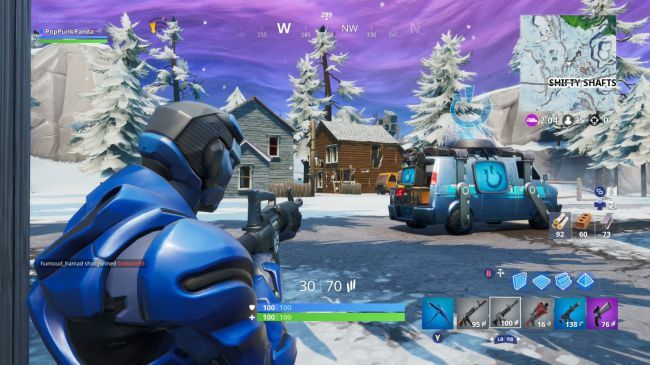 Squadmates can attempt revive downed player at various “Reboot vans” scattered around the map which are few and far between and in the open, making it a risk to respawn squadmates. In the last days of session 7, the Iceland was rocked by earthquakes that created on ground and eventually heralding the appearance of large volcano on northeast corner of the map that erupted. Since, the ice king who had been taped in castle and emerged to cast spell that unleashed a winter storm across the whole map. The erupted also created dangerous lava flows surrounding the volcano. Pirates, Ninjas and more unreal adventures enter the fold, hunting for treasure ad victory. We are researching on this type of matter like Fortnite Battle Royale game, PUBG and other battle Royale game and we will defiantly post an update, if it will come in future. You can experience about Fortnite game on comment box given below.